Pastor Ed currently serves St. Peter's Lutheran Church in Ottawa as their honorary Assistant Pastor, in team ministry with his wife, Pastor Elina Salonen, who is the lead Pastor there. He has served congregations from Lunenburg to Windsor, including as interim pastor on a number of occasions. Pastor Ed has served on Synod Council and as Chair of the Synod's Candidacy Committee. 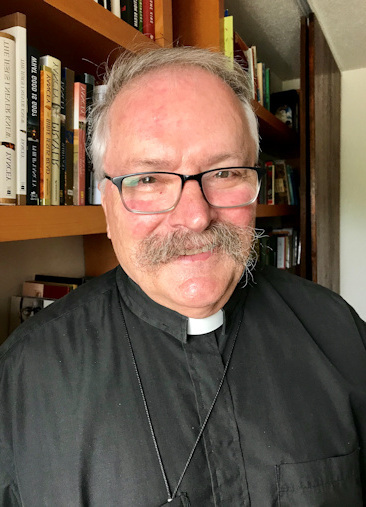 Prior to becoming a pastor, Pastor Ed worked in the field of mental health and has since retired as the leader of two community mental health teams in midwestern Ontario. He has been a two career pastor for much of his ministry. He lives in Orleans and looks forward to sharing ministry with the community and people of Resurrection!